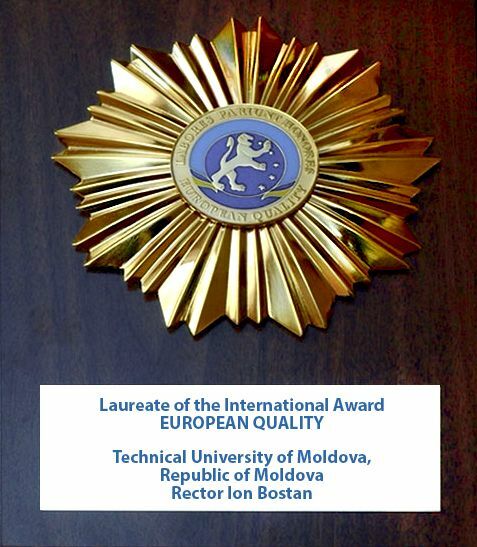 The Committee for Nominations of the “European Business Assembly” – EBA, Oxford, UK, on 1 March 2010 adopted the decision to confer the decoration „European Quality” to Technical University of Moldova. It is offered for continued effort in achieving the high quality of education in accordance with European standards, with the right to use symbols and attributes of this decoration on official documents and advertising purposes. Conferring this award demonstrates a level of education, which does not yield the highest organizational models of the didactic process from counterpart institutions in European countries, recognizing the professionalism of the teaching staff, the quality of scientific researches, and the development, application and implementation of international programs. 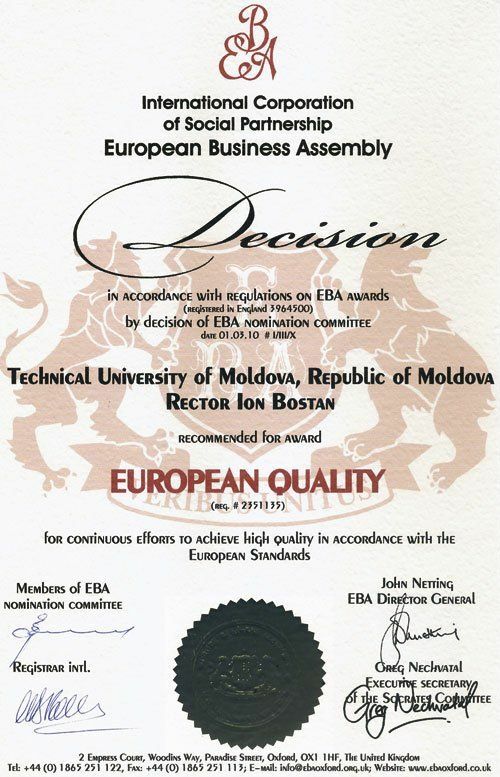 The EBA is a founder of prestigious international awards such as “European Quality”, “United Europe”, International Prize “Socrates”, the decoration “Queen Victoria”, “The Best enterprise in Europe” – all with a wide notoriety and credibility of the international community.